Commenting on the statement Sputnik Agency has attributed to the Foreign Minister of the Republic of Turkey as allegedly saying on the Minister of Foreign Affairs Shaikh Khalid bin Ahmed bin Mohammed Al Khalifa regarding the Qatari crisis, the Ministry of Foreign Affairs dismisses it as totally erroneous and affirms that the side which has circulated it lacks the necessary credibility and professionalism to deal with such sensitive topics that cannot tolerate unreasoned interpretations or explanations. 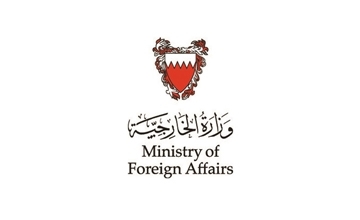 The Ministry of Foreign Affairs stresses that the position of the Kingdom of Bahrain, the Kingdom of Saudi Arabia, the United Arab Emirates and the Arab Republic of Egypt is quite clear towards the Qatari crisis and that these countries are defending their sovereignty and not besieging the State of Qatar and that they have rather spared it danger by exercising a sovereign right of theirs. The ministry affirms that severing relations with Qatar came after the four countries have tried all available means to stop it from interfering in their internal affairs and to ensure Qatar remains committed to its previous pledges and that all the steps taken so far have not affected their peoples or the brotherly Qataris.